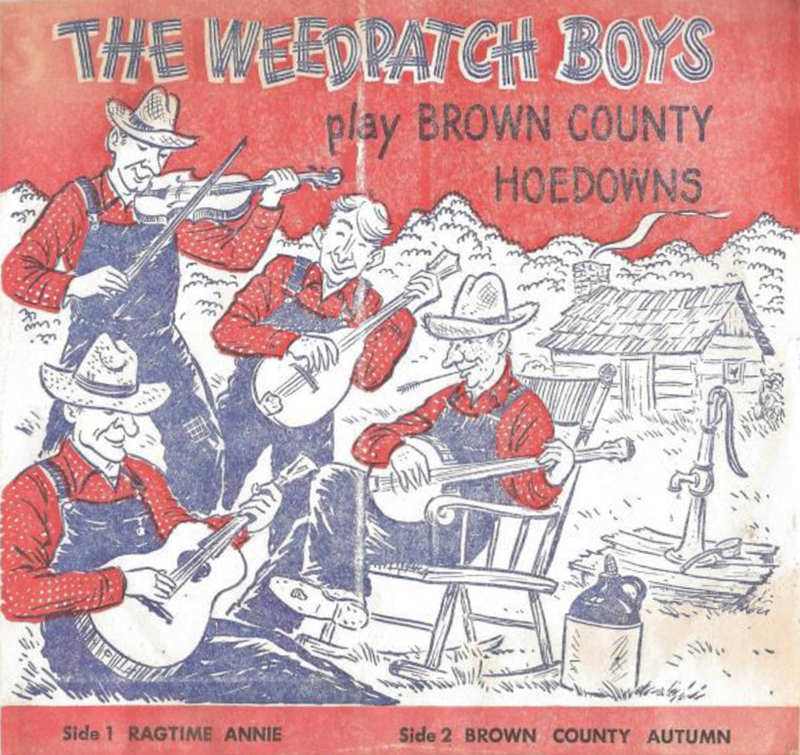 This rare 45 rpm single by “The Weedpatch Boys,” released in 1963, is part of a large “historically and culturally significant” bluegrass audio collection recently donated to MTSU’s Center for Popular Music by the family of Indiana music lover Marvin Hedrick. Hedrick was a member of the band, as were his two sons. The center received a $19,537 grant from the Grammy Foundation April 6 to preserve and digitize the collection. MTSU’s Center for Popular Music is the recipient of another national grant from the Grammy Foundation, this time to digitize an extensive, “historically and culturally significant” live bluegrass audio collection from Indiana music lover Marvin Hedrick. The $19,537 grant will make the center an even greater research resource for MTSU students and faculty as well as scholars from across the world, Director Greg Reish said. Hedrick, a Nashville, Indiana, radio and TV repairman as well as a musician, recorded priceless festival performances and backstage jam sessions as well as impromptu sessions at his shop. He died in 1973. His sons, Gary and David, donated 167 open-reel tapes, a variety of other sound recordings and photographs to the Center for Popular Music last year for preservation and archiving. The Grammy Foundation grant, which is one of 20 nationwide announced April 6, will allow the center to “catalog, preserve, digitize and disseminate the tapes and their contents via a dedicated website and the center’s documentary label, Spring Fed Records,” foundation officials said. “The Marvin Hedrick Audio Collection is one of the most historically and culturally significant collections of live bluegrass recordings in existence,” the Grammy Foundation report concludes. The Center for Popular Music received a similar Grammy Foundation grant in 2013 to organize and archive 3,850 cassette and open-reel tapes of music, oral histories and field recordings of Dr. Charles Wolfe, an MTSU English professor who captured musical and interview audio from hundreds of country, blues and bluegrass music practitioners over four decades. Wolfe, who died in 2006, also donated his work to the center, which has since made the collection accessible on its website. The Hedrick collection, like the 1 million-plus other items that comprise the center’s archives, will now be carefully cleaned and preserved and its contents identified, documented and catalogued. It then will be made accessible to scholars all over the world via a searchable database, Reish said, and MTSU faculty and students can use it for discussion and research. The Grammy Foundation awarded more than $300,000 in its 2016 grants for projects ranging from research with cochlear implants and infants and toddlers with autism spectrum disorder to recovering and digitizing some of the earliest cylinder records ever made. Other 2016 Grammy grant recipients include the Delta Blues Museum in Clarksdale, Mississippi; the New York Philharmonic; the Ravi Shankar Foundation in Encinitas, California; and the Smithsonian Institution’s National Museum of American History. The Center for Popular Music, one of the nation’s largest and richest repositories of research materials related to American vernacular music, recently celebrated its 30th anniversary and is part of MTSU’s College of Media and Entertainment. For more information on the Center for Popular Music and its projects and special events, visit http://www.mtsu.edu/popmusic.